We would love to see you at the upcoming reception! Read more about the making of this show here. 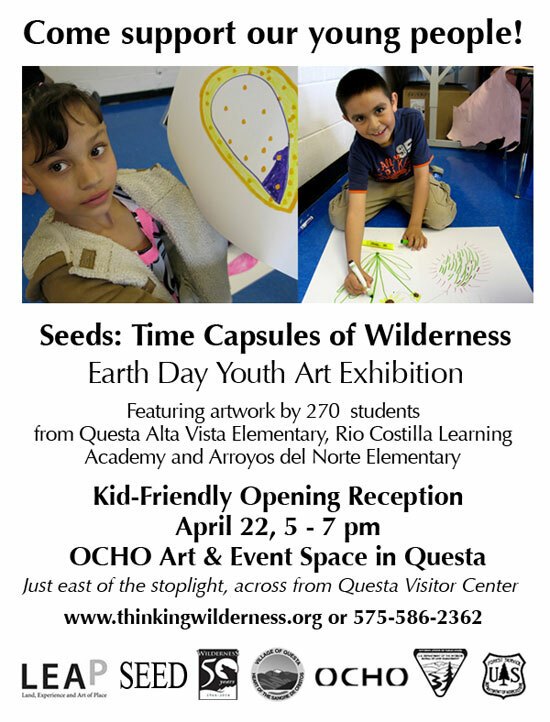 This entry was posted in Announcements, Uncategorized and tagged Questa, seeds: time capsules of wilderness, youth on April 17, 2014 by Thinking Wilderness.